Mobile first search option is coupled with cloud-based search analytics platform. 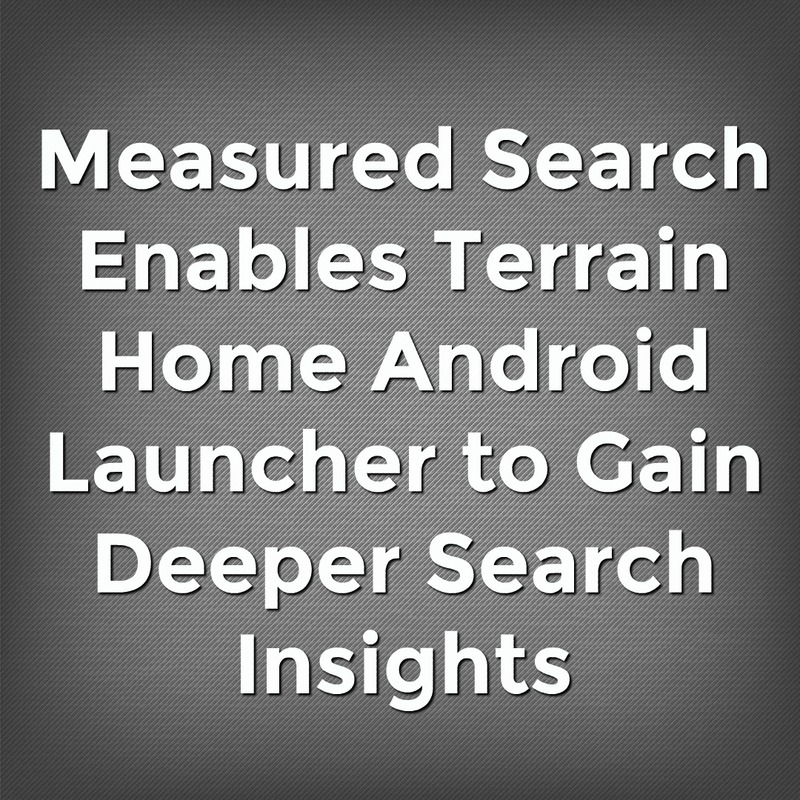 Measured Search, a leading provider of cloud-based search, discovery and big data analytics products & services, announced today that it has partnered with Terrain Home, part of Palo Alto based Samsung Accelerator, to deliver deeper search insights and app discovery capability within Terrain Launcher. Terrain is a new Android Launcher focused on helping the user find everything on their device easily. 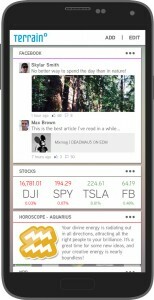 Resembling a standard Android home screen, Terrain provides three main features to simplify the user experience, including a sidebar, a phone search option and an apps drawer. The sidebar contains a configurable list of cards that aggregate information relevant to the user from many sources. Unlike standard Android search which is web centric, the phone search option searches locally, simplifying finding contacts, settings, apps or anything else on the device. The apps drawer reveals an alphabetically sorted list of all apps on the device making them easy to launch. Measured Search currently offers a cloud based vendor neutral search analytics service that enables Terrain Home to analyze on-device search behavior and get insights about trends and how users interact with their devices including: trending apps by popularity, trending apps by usage, top apps by popularity, and top apps by usage. Founded in 2013, Measured Search (www.searchstax.com) is a Los Angeles-based company that helps businesses achieve excellence and superior ROI in Search, Discovery and Big Data Analytics. Measured Search’s cloud-based platform as a service allow businesses to capture, analyze and leverage user behavior data to drive interaction, conversions & user satisfaction.